The plaques read left to right chronological by birth date. This modern building sports a clock (of course) with Roman numeral hours and, on the side, "XXXIII" or 33, the street number. Dan Parkes, clock maker, 1946 - 1989. 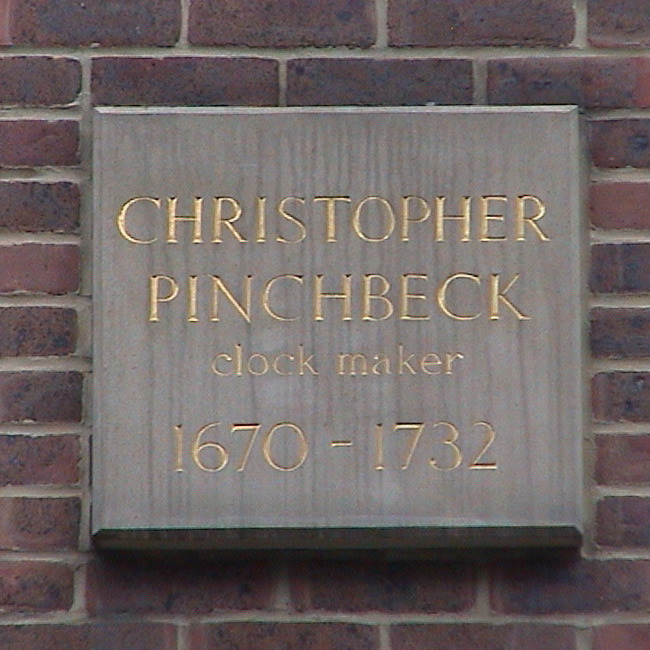 James Upjohn, clock maker, 1765 - 1794. 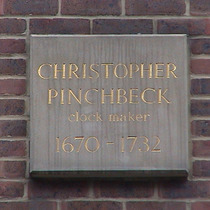 John Cranfield, clock maker, 1770 - 1790. John Moor, clock maker, 1801 - 1875. Hippodrome - Sammy Davis Jr.
Plaque unveiled by former QPR player Stan Bowles.